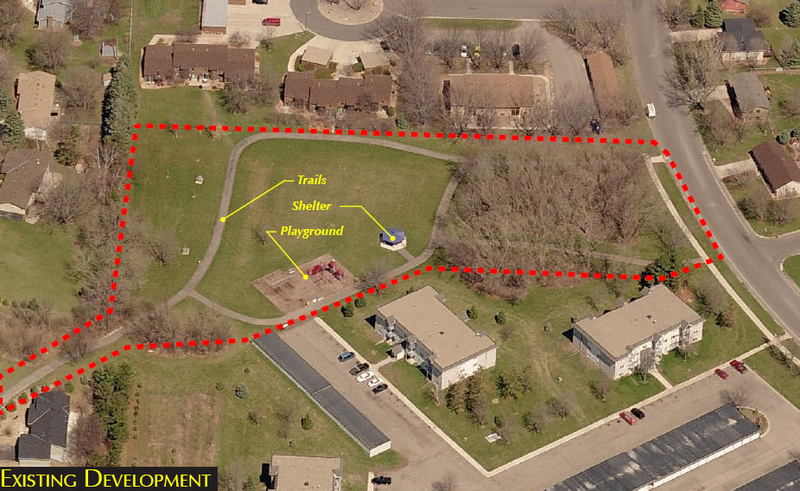 Character: This is a natural, open space park centered around a stormwater management pond. 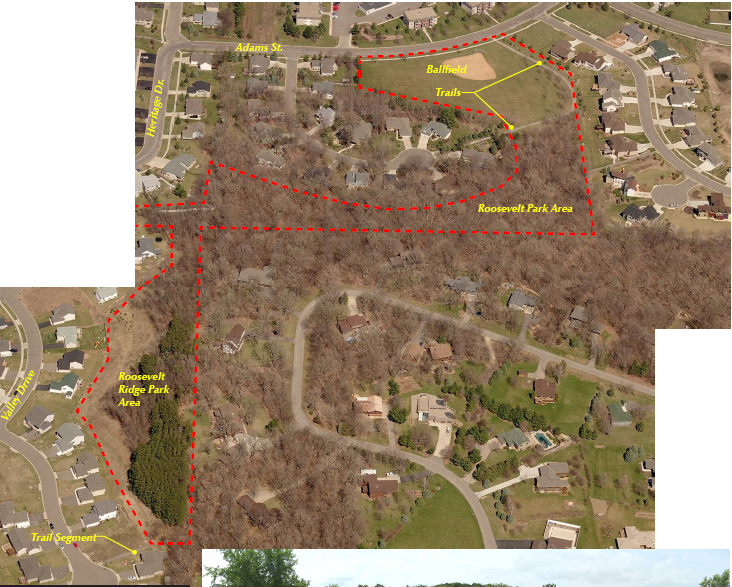 The only development is an asphalt trail, which connects to the local streets and larger sidewalk and trail system. Most of the space around the pond is naturalized, which is appropriate and could be further expanded to reduce maintenance costs and improve wildlife habitat. 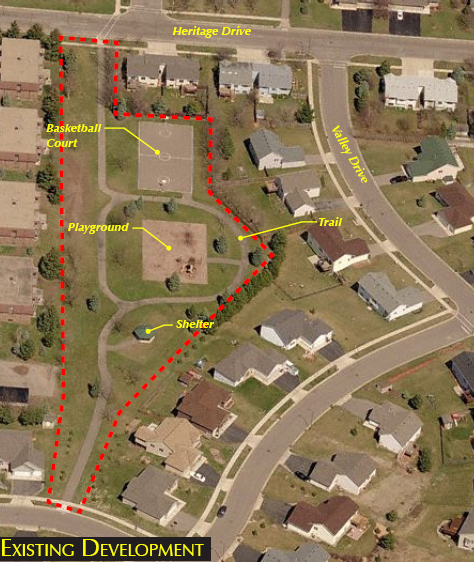 Development Considerations: Expand naturalized plantings, with an emphasis on trees. 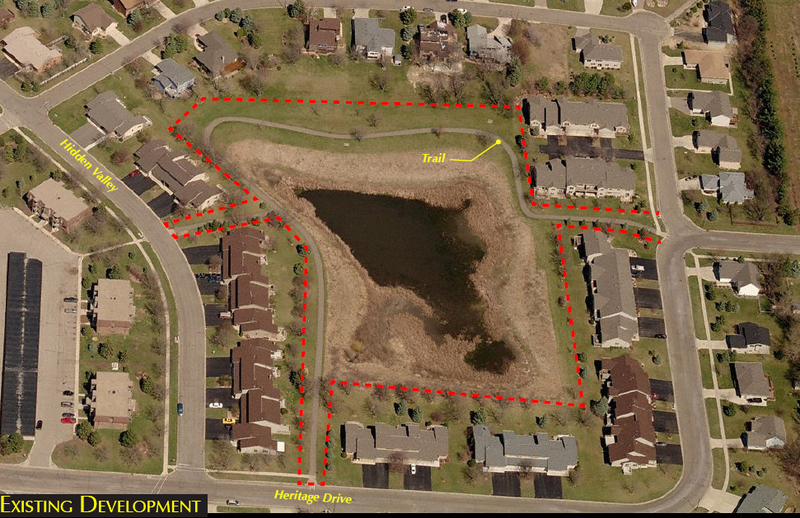 Potential Development Costs to Optimal Level: $5,000 – $10,000. Here is the 1999 Concept Drawing and Planting List for the Valley Pond Park. Also included is a list of birds seen in the park (year? ), drawn up by Don Starkweather.